Amazon has owned streaming giant Twitch since 2014, but besides a Fire TV app, you would be hard-pressed to find evidence of Amazon's handywork. Today that changes, with Twitch announcing their new premium subscription, Twitch Prime. And as you may guess from the title, it comes free with an Amazon Prime subscription. To put it simply, Twitch Prime is a bit similar to YouTube Red. You get free game content every month (such as indie games or DLC), as well as discounts on new games sold by Amazon during the pre-order period and first two weeks of launch. As far as Twitch itself, you will get exclusive emotes and a chat badge, ad-free viewing, and a free channel subscription every 30 days. If you don't use Twitch, you might be confused why channel subscriptions would be paid in the first place. Twitch allows you to 'follow' channels in a similar fashion to subscribing to a YouTube channel. Twitch subscriptions are essentially $5 monthly donations for the streamer to support their content, and Twitch Prime essentially giving users a blank $5 check to their favorite streamer every month is a nice gesture. What's the catch? Users in countries where Prime is available can no longer sign up for Twitch's former subscription service, called Twitch Turbo. All of Twitch Turbo's benefits (ad-free viewing, emotes, etc) have been rolled into Twitch Prime, but Prime costs $2 more at $10.99/month (or $99 a year). Existing Turbo subscribers can continue to keep their subscriptions if they desire, and in countries where Amazon Prime is not available, Twitch will continue to offer Twitch Turbo. If you already shop on Amazon or watch content on Prime Video, Twitch Prime is a no brainier. Existing Prime subscribers can connect their Twitch account at twitchprime.com. SAN FRANCISCO--(BUSINESS WIRE)--Twitch, the world’s leading social video platform and community for gamers, kicked offTwitchCon 2016 today with a keynote from CEO Emmett Shear, and Director of Programming, Marcus “djWHEAT” Graham. The keynote spotlighted Twitch Prime, new video quality options, the ability to upload videos, loyalty badges for subscriptions, updates to Clipping, Curse Voice with Twitch integration, and HTML5 for everyone, among other insights about the brand. Twitch Prime: Twitch Prime is a new set of Amazon Prime benefits created for gamers. It features exclusive discounts on pre-order and new release games, a rotating selection of free digital games and in-game loot, plus a premium experience on Twitch that includes a free monthly Twitch channel subscription. Twitch Prime now joins the growing list of all-you-can-eat benefits for Prime members, including guaranteed unlimited fast, free Prime shipping, unlimited access to Prime Video, Prime Music, Prime Photos, early access to Lightning Deals, and more. 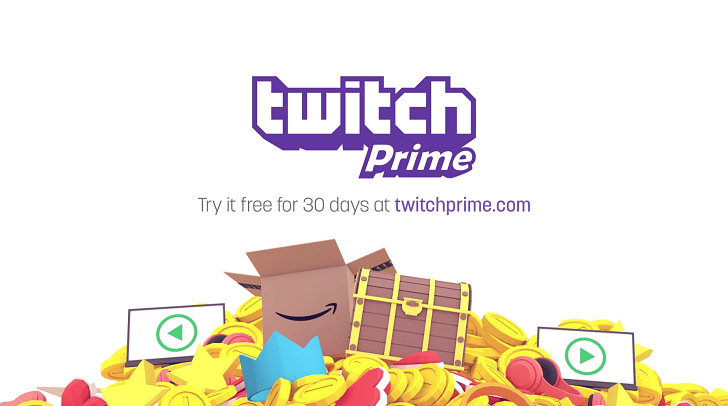 Gamers and Twitch fans can get all the benefits of Twitch Prime by starting a Prime free 30-day trial, while Prime members can unlock their Twitch Prime benefits by linking their Prime accounts to Twitch at www.twitchprime.com. For more information on Twitch and TwitchCon 2016, visit: Twitch, TwitchCon 2016, Blog, Facebook, @Twitch, and @TwitchCon. Twitch is the world’s leading social video platform and community for gamers. Each month, more than 100 million community members gather to watch and talk about video games with more than 2 million streamers. Twitch’s video platform is the backbone of both live and on-demand distribution for the entire video game ecosystem. This includes game developers, publishers, media outlets, events, user generated content, and the entire esports scene. Twitch also features Twitch Creative, a category devoted to artists and the creative process. For more information about Twitch, visit the official website and blog.